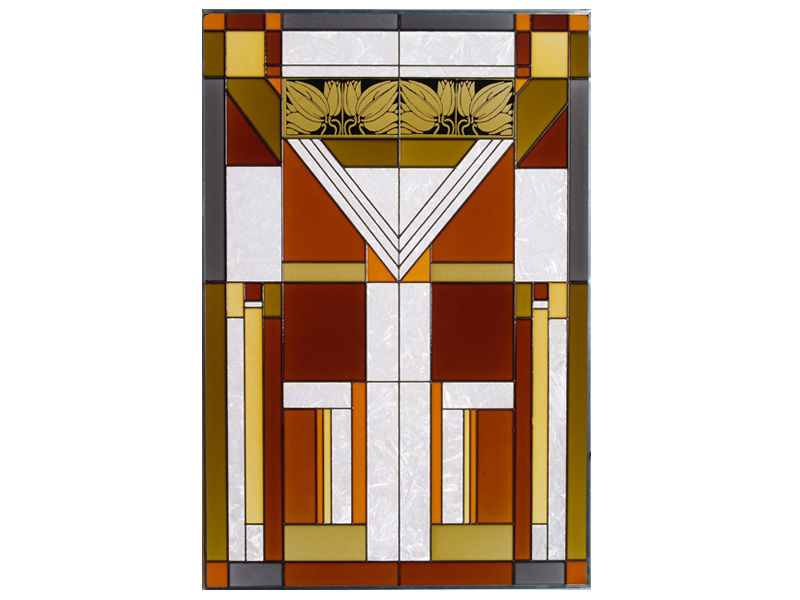 The rich warm tones and striking geometric lines of this mission-style art glass panel make it a stunning addition to your decor. Meticulously hand-painted and zinc-framed, this vertical panel measures 20.5" wide x 30.5" high, and features two soldered metal rings along the top for hanging. **FREE Chain Kit Included. Made in the USA by Silver Creek.